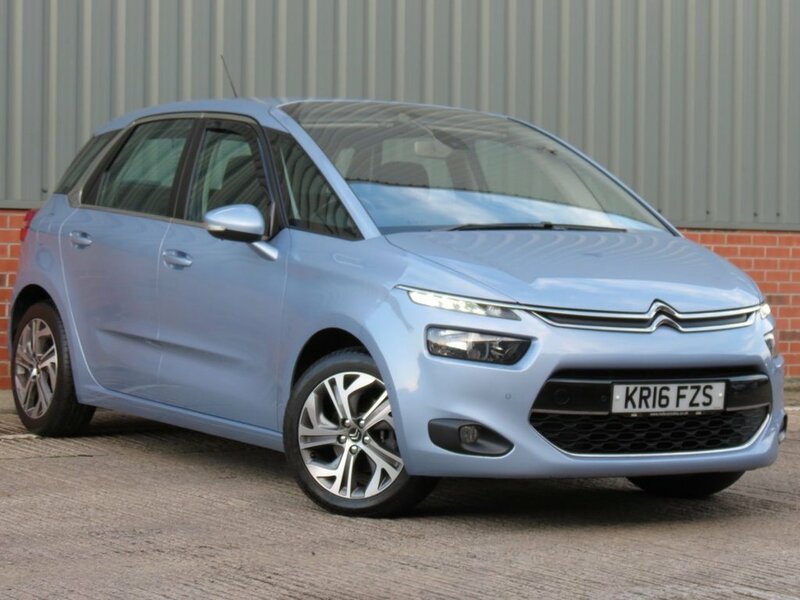 Here we have an excellent example of Citroen's sought after multi purpose vehicle the Picasso fitted with Exclusive specification including Satellite Navigation, Bluetooth telephone connectivity ,Diamond cut Alloy wheels, the powerful yet economical 1.6 HDi engine and the added benefit of zero ££ road tax. This well cared for Picasso will be supplied with a full service record having been serviced at 18k,22k,and 31k, two remote keys, the balance of Citroen warranty until May 2019, we will also add 12 Months MOT once the vehicle is sold as it will not be required until May 2019 and HPI Certificate. LOOKING to finance your new car why not visit our website and try out our EASY to use online finance proposal system and receive an acceptance direct to your own INBOX within minutes and DRIVE away within an hour as all our cars fully approved and ready to drive away, Black Cloth interior, Metallic Blue, 2 owners, Buy with complete confidence all our cars are HPI clear and prepared to the highest of standards.